In U.S. emergency rooms, the holiday decorating season starts early. Just ask Dr. Carlos Roldan, a Texas ER doc who treated a man who fell off a ladder while putting up his Christmas lights — in September. That may have been just the start of the yuletide toll, according to government health officials who say that holiday decorating injuries have risen steadily for the past four years. The number of people whose "Ho-ho" turned to "Oh, no!" climbed to more than 15,000 seen in U.S. emergency rooms last year, according to new data from the Consumer Product Safety Commission. That’s up from 2009, when there were about 12,000 holiday decorating-related injuries logged in the nation’s ERs, said Kim Dulic, a CPSC spokeswoman. “We’ve seen a bump each year since then,” Dulic told NBC News. That’s more than 250 people a day hurt by decorating accidents between Nov. 1 and the end of December last year, notes Dulic. More than a third of the injuries were caused by falls, with cuts accounting for 11 percent and back strains for another 10 percent of the harm. The rest of the injuries were caused in various, unidentified ways, Dulic says. That makes sense to Roldan, an emergency room physician at Memorial Hermann-Hospital and an associate professor of emergency medicine at the University of Texas Health Science Center in Houston. He’s already seen dozens of decorating-related injuries this holiday season, including falls from ladders and people who hurt themselves while DUI — decorating under the influence of intoxicants. 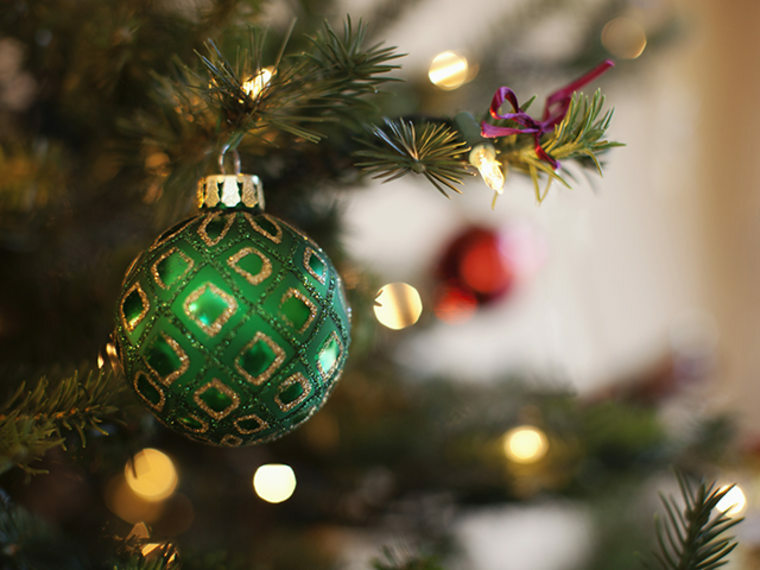 Christmas tree fires are another common cause of injury, the CPSC says. Between 2009 and 2011, the latest data available, there were an estimated 200 fires in which the tree was the first thing to ignite, resulting in 10 deaths and $16 million in property loss, Dulic says. But a peek at the decorating injury case reports in the National Electronic Injury Surveillance System clearly demonstrates the most common problems. There was the 48-year-old woman who fell on her behind last Dec. 8 while putting the star on the top of her Christmas tree, the report shows. She suffered a back strain and various bruises. Then there was the 33-year-old man who stood on a fence railing to adjust lights last Christmas Day, only to slip and strike both testicles on the railing. He was treated and released for bruising. Other injuries are far more devastating, Roldan notes. "From broken necks to broken hips, the consequences can be catastrophic," he says. It’s easy to take shortcuts during a busy holidays, but Dulic and the nation’s ER docs say you better watch out –and not just for Santa Claus. “We want people to put safety first this holiday season,” she said.